Anzac Day on 25 April is one of Australia’s most important national occasions. It marks the anniversary of the first major military action fought by Australian and New Zealand forces during the First World War. Anzac Day goes beyond the anniversary of the landing on Gallipoli in 1915. It is the day on which we remember all Australians who served and died in war and in operational service. The spirit of Anzac, with its qualities of courage, mateship and sacrifice, continues to have meaning and relevance to our sense of national identity. Attending a dawn service is one of the most moving things you will ever do. 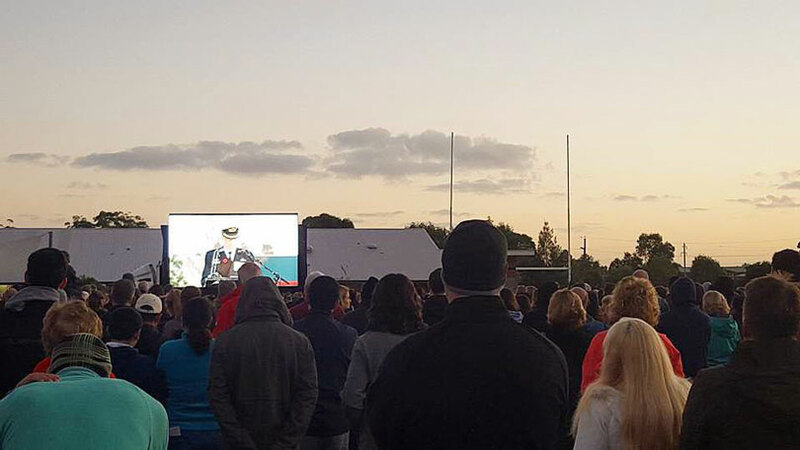 Prior years have seen more than 25,000 attend the dawn service at Wrights Road Castle Hill. Just a reminder, most major shopping centres are shut until 1pm on Thursday 25 April, although many cafes are open on the day but may be trading for shorter hours. The ANZAC dawn service will be held at the Centenary of ANZAC Reserve on Thursday, 25 April 2019. Attendees are requested to be at the Reserve by 5.45am. The Service commences at 6am. Parking can be found at William Clarke College, TAFE at corner of Green Road/Showground Road, Kellyville Village, Aldi and on-street around Centenary of ANZAC Reserve. March – 3.15pm start. 2.45pm Assembly for afternoon march in the Woolworths carpark. Afternoon Service – to follow march, held at the Glenorie RSL Memorial – 3 Post Office Road, Glenorie. Glenorie RSL afternoon service will feature the Hills District Pipe Band, 226 Army Cadet Unit and Army Bikes. ANZAC Day dawn march and service, Riverstone. March to form at 5:30am, 18 Market St, Riverstone. Service to commence at 6am. Location: Riverstone Cenotaph, Riverstone Pde, opposite the railway station. Parramatta RSL dawn march and service, Parramatta. March from Parramatta RSL to Prince Alfred Square to commence at 4.15am and the dawn service will start at 4.30am. Prince Alfred Square. Epping RSL dawn service, Epping. Glenorie RSL – live music and 2up. From 12pm. 2up at 5pm. Ettamogah Hotel – 2up from 12pm.